News by Britta S, Trent P, and Matt S.
Team Cherry from Adelaide had success with its Kickstarter campaign for Hollow Knight, a Metroidvania action game with absolutely gorgeous hand-drawn 2D art and smooth animation. Now it's finally coming to Steam on February 24! "Though we can confirm the Switch as a release platform, we also have to confirm that Hollow Knight will no longer make its way to the Wii U. That’s not a step we’ve taken lightly. Our Wii U release has recently been hampered by several technical challenges and though we’d love to see Hollow Knight on our favourite console, we feel the quality difference would end up such that Wii U players will be experiencing a lesser version of the game." The plan is for the Switch version of Hollow Knight to become available "not too long" after the PC launch. You will explore the expansive world of Hallownest, its forgotten and overgrown ruins, choose which road you take and which enemies you face, and you will chart your journey with extensive mapping tools. You will gain traditional skills and abilities, but also learn to enter the minds of characters you meet with the Dream Nail. An enormous cast of cute and creepy characters are all brought to life with traditional 2D frame-by-frame animation, and landscapes are painted with extravagant parallax to give a unique sense of depth to a side-on world. The score, composed by Christopher Larkin, echoes the majesty and sadness of a civilisation brought to ruin. Experience the beauty of visuals and sound in the Release Trailer. Who knows if we will see this come to non-Nintendo consoles. We hope so, for everyone's sake. This looks like a game everyone should be experiencing. We first introduced you to action horror RPG Vampyr with Matt's E3 2016 report. We think it's time for an update - plenty more details have been revealed in the meantime! The new game from Dontnod (creators of Remember Me and Life is Strange) drops you into a 1918 London, ravaged by the Spanish flu. You play as Dr Jonathan Reid, who has become a vampire, seeking to track down the source of the pandemic of flu-carrying vampires. Dontnod’s Phillipe Moreau explained that there are many moral choices to be made, balancing the need to survive against the player's code of ethics. Those decisions will ultimately trigger four different endings, "including one if you manage to finish the game without killing anyone. Trust me, that's a very hard challenge." Interviews with Stephane Beauverger, Narrative Director at Dontnod, have given us a swathe of new details and insights into Vampyr. We now know, for example, that Vampyr is a “semi-open world” game. This means that you can freely traverse the different interconnected parts of London; however, a few locations are locked for storyline reasons. According to Beauverger the recreated city is based on authentic documentaries and materials to achieve the game’s 1918 London look and feel. Beauverger also confirmed that there are no “nameless Joe characters” in the game. Every one of the 60 citizens has a detailed identity, and how you interact with each citizen is crucial within the dynamic community system and ultimately your progress. This ties into the side quest system, for if you kill a citizen you also lose the side quest from that character. It is also possible to lose whole districts by crossing a kill threshold too soon; each district carries its own 'critical health status’. Since much of your XP is gained from killing people, it is evident that gameplay will involve a real balancing act between sourcing blood for sustenance and retaining functioning neighbourhoods with their essential functions. Also: each time you kill someone there is a automatic save and you can’t go back - you have to live with the in-game consequences. Ekon are the seductive and charming Dracula aristocrats, fooling humans with their human likeness. Skal are considered degenerates, "lesser vampires", despised for skulking around. Vulkods are hulking, huge vampires with grey skin - a fusion of werewolf and vampire. Nemrods are vampires who despise their own kind, impelled to hunt down their kin. Now we get to the 'tasty' part, the gory aspects of being a vampire. There are three different types of skill sets. You can play as a shadow vampire, discreet and stealthy, using your powers to manipulate your victims. You can play as an instinct vampire - aggressive, with brutal claws. Or you can be a blood vampire, controlling enemies, making their blood boil, even impaling them on stakes. How do you move around the districts and approach your victims as a vampire! Do you just saunter up to them, or jump on them from the shadows? No - apparently vampires have evolved beyond anything as mundane as jumping, instead turning into clouds of black smoke and rushing towards their target, invulnerable while doing so. If that isn't enough complex vampire world building for you yet, Dontnod have one more nuance up its sleeve: factions. 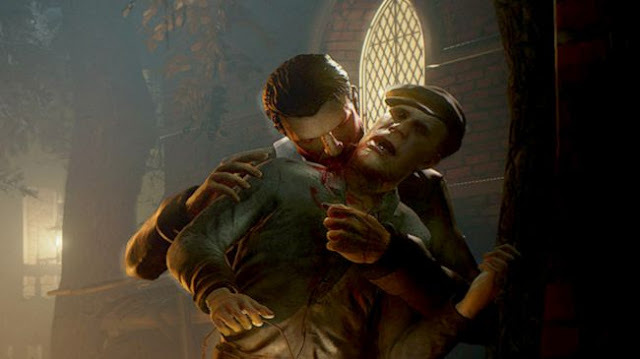 You will encounter at least two different factions of vampires in Vampyr. One of these hide in the sewers, the “unwanted children of the vampire”. Or perhaps the unwanted children of the Empire? The description brings to mind Horace Warner's documentary photographs of children in London’s East End 100 years ago. The other faction are said to be “very posh ... members of the high society.” In a fairly obvious historical parallel, these highly conservative vampires secretly rule London and even parts of the British Empire. 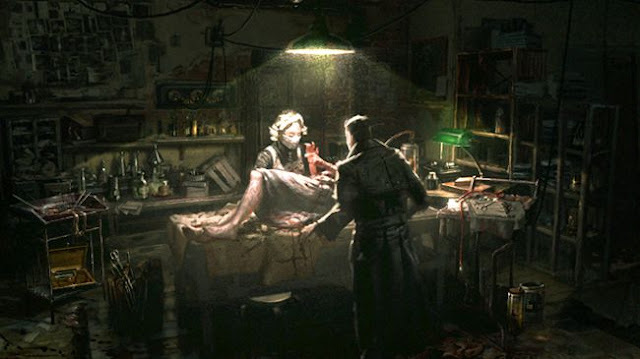 Part of Vampyr will be about finding out the “real truth” behind what spawned the bloodsucking nightdwellers in the first place, “and the hero will be confronted with one of the very, very ancestral aspects of the species.” Beauverger revealed only this much: “It will be linked with the very basic roots of English mythology”. Vampyr is scheduled to release in Q4 2017 for PS4, Xbox One, and PC. Nintendo has revealed that a beta preview event for Splatoon 2 will occur late in March. Dubbed as a "Global Testfire," this follows the same structure that the original Splatoon had with its demo event prior to launch. Taking place on the weekend of the 25th of March in Japan, interested players will be able to play the game at selected hourly intervals throughout the weekend. Related reading: For more information around Splatoon, check out Matt's review of the original on Nintendo Wii U. The currently revealed times applicable for Japan are; 25th March/26th March; 4:00 – 4:59, 12:00 – 12:59, 20:00 – 20:59. These times will be applicable for other regions with the event globally during the revealed hours. Whip out a calculator and do some time conversions in order to figure out when you'll be able to jump on. Current content indications suggest that the game will be the same demo as offered at Nintendo preview events for the Nintendo Switch in the past month. Players will be able to test the game with a lineup of four different main weapons. This weapon lineup includes the new Splat Dualies and remixed versions of iconic weapons from the previous title such as the Splat Roller and Splat Charger. Gamebook specialist, Tin Man Games, broke out of its shell a little last year with the release of The Warlock of Firetop Mountain on PC. Based on a gamebook itself, the game was much more than that, as Tin Man Games had spun it into a full miniatures board game that people with fond memories of the likes of Hero Quest would surely get right into. And now the game is coming to iOS. From February 22 you'll be able to download the game, which we presume will be pitched at a relatively premium up-front price, rather than any nonsense free-to-play pricing. As you can see, the game is utterly, utterly gorgeous, mixing those traditional board game and gamebook aesthetics together in such a way that older RPG fans will surely feel a hit of nostalgia just looking at the game.